Volunteers To Give Boise Foothills A "Hug"
Volunteers are giving a hug to the Boise Foothills. A group of volunteers will be out in force Saturday to give the Boise Foothills a collective hug. 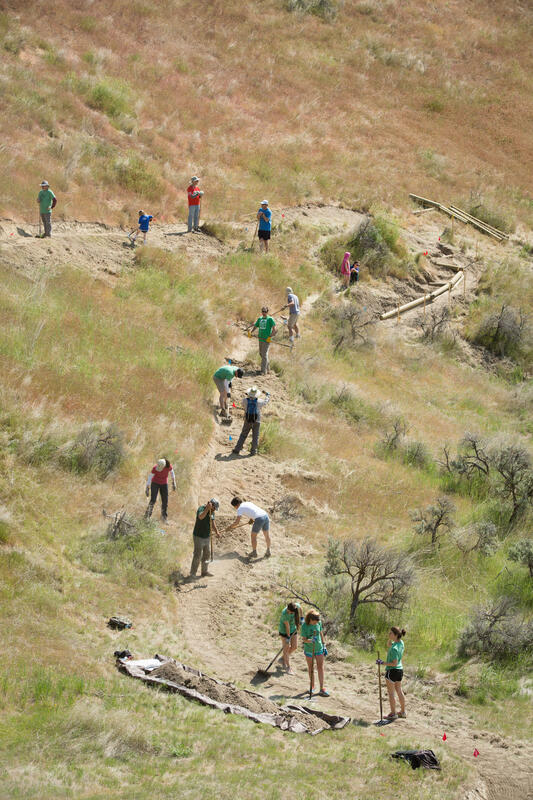 That’s what the YMCA and the Land Trust of the Treasure Valley are calling trail restoration in Harrison Hollow. “Now and then it just needs some tender loving care, and that’s what we’re doing, we’re lending a hand for the land,” says Rich Jarvis with the YMCA Togetherhood program. He says maintaining trails in the Foothills is no easy task. Harrison Hollow is right off Bogus Basin Road. They’ll be working on the Hillside to Hollow Trail. The group will plant grass and tend to ruts along the path. The Togetherhood program is a YMCA member-run initiative. They do several service events throughout the year to strengthen the community. Jarvis says the Y has always been more than the neighborhood gym. “How cool is it that as members of the YMCA we get to participate in giving back to our community.” Saturday, they’re partnering with the Land Trust. Jarvis says it’s a great example of nonprofit groups working together. Foothills trails can be quite extensive and need tender loving care. Jarvis says the Foothills are beloved by people in the Treasure Valley and everyone is invited to help with the project. “It’s a staple out here. People move from all over the country to come and enjoy the Foothills and all the amenities they have to offer. Come join us, and give a collective hug to our good Foothills,” Jarvis says.